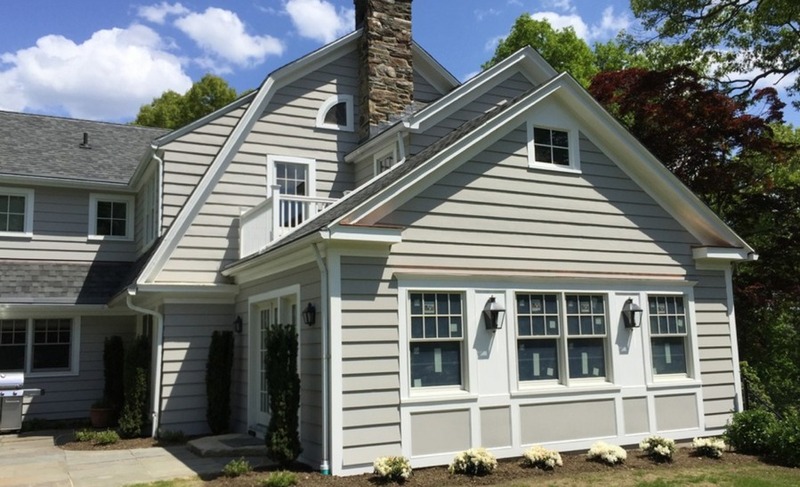 Hiring DiNardo Painting of New London, CT to perform your next exterior house or commercial facility paint project will not only improve the visual appeal, it will also assist in protecting your structure from the harsh Connecticut weather patterns. Our high quality paints work as a protective layer, which will work to slow down deterioration due to weathering. Many Connecticut home owners choose not to keep up with maintaining the exteriors of their home or commercial facility. When your exterior siding does not receive the proper ongoing paint maintenance, it can require you to perform costly repairs down the road, such as replacing the siding of your house and make your home more susceptible to mold and mildew accumulation. At DiNardo Painting, LLC, we understand a paint project, which will stand the test of time, will depend greatly on the quality of the paint that is being used, combined with expertise of the painters executing the project. We strive to be as detail oriented as possible as we make the necessary preparations to the surface of your structure, and use professional painting methods eo ensure that your paint job will last for many years to come. We will inspect the condition of your trim and siding and perform any necessary restoration services in order to prevent any potential future problems. DiNardo Painting also offers pressure washing services that are effective in removing any dirt, grime, or pollen that has accumulated on the surfaces of your home or outdoor living spaces. We specialize in exterior house pressure washing. We take time to soft pressure wash every inch and remove the dirt and mold if any from your home’s exterior. As the premiere house washing and pressure washing company in New London and Hartford County, our experienced technicians professionals understand the correct usage of water pressure and chemicals, which will provide the maximum level cleaning, without causing any harm to th exterior of your home. If the surfaces of your exterior’s paint is in the process of peeling or wood is exposed, contact the New London House Painting Contractors at DiNardo Painting to provide exterior maintenance or give your home or facility a new coat of paint. By delaying restoration services, the areas of your exteriors that are exposed will be susceptible to weather elements that can cause a great level of costly damages. When it comes to your home’s exterior paint, hiring DiNardo Panting to perform painting maintenance and restoration services, can save you a great deal of stress and money down the road. Contact us today at (860) 961-6280 to schedule your no-cost estimate and consultation today!